​Quick—And The Dead (2 Tim. 4:1). Question (1960)—In 2 Tim. 4:1 and 1 Pet. 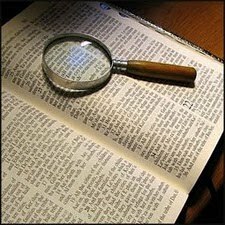 4:5 we read of judgment of “the quick and the dead.” Who are the “quick” and who are the “dead” of these verses? Answer.—The Greek word translated “quick” in these verses in the King James Version means “living” and is so translated in many versions; it refers to those who are not under a death sentence, viz., those who are new creatures (2 Cor. 5:15, 17; as such they are not under a death sentence—Rom. 8:1), and the fallen angels, who never were placed under a death sentence, but for whom also God has ordained a judgment (1 Cor. 6:3; 2 Pet. 2:4). Jude 6 shows us that they are imprisoned “unto the judgment of the great day,” which day includes the time of our Lord’s appearing or revealing, at His Second Advent according to 2 Tim. 4:12, Jesus judges the “quick”—the new creature and the fallen angels—during His appearing (Greek, epiphaneia). The “dead” of 2 Tim. 4:1 and 1 Pet. 4:5 consist of those who have gone down into the Adamic death state, who are sleeping the unconscious sleep of death in hell (sheol, hades), the condition of the grave, oblivion (see The Hell of the Bible booklet, listed on p. 56), and additionally, those who are under the Adamic curse of death, who are “dead in trespasses and sins” (Eph. 2:1), legally dead (Matt. 8:21, 22; 2 Cor. 5:14; John 5:25), though they have not yet actually gone down into the death state. Thus the “dead” are Adams condemned race, whether in the death state or under the dying process.